Now that school is starting again, I like to make dishes that is easy to put in a Tupperware and take with me to school. In Uni of Iceland you’re almost never in the same building the whole day, so it’s good to take something that is easy to eat anywhere. 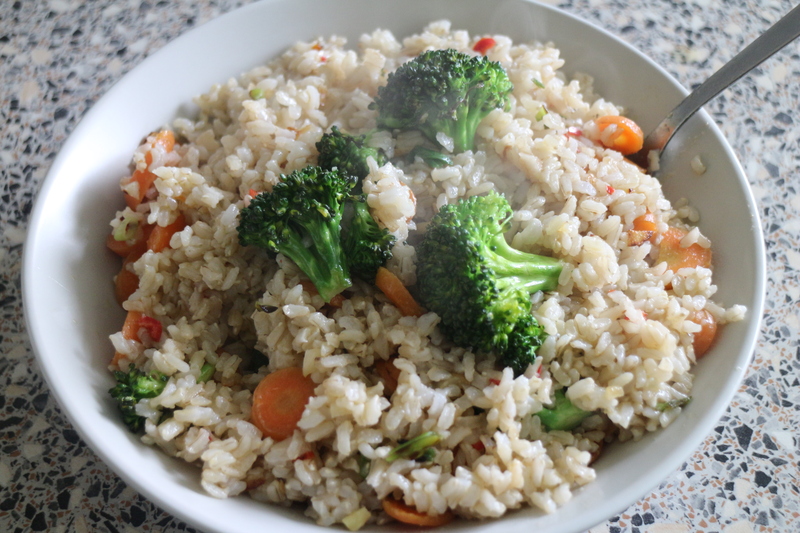 So I made this Brown rice stir fry the other day and took the leftovers with me to Uni. I love this dish especially because of how simple it is. And most of the time I have all these ingredients in my kitchen. 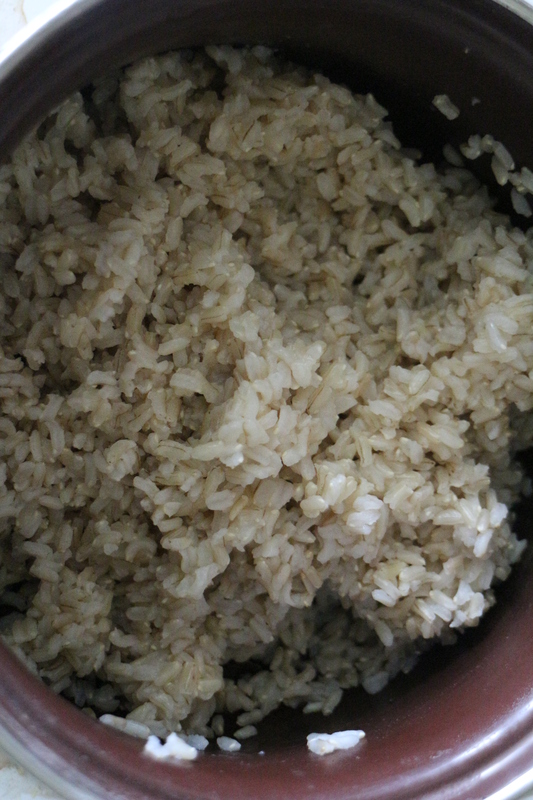 I started on putting a cup of rice in a medium sauce pan. Than adding 2 cups of water. Let it boil for 30-40 minutes. 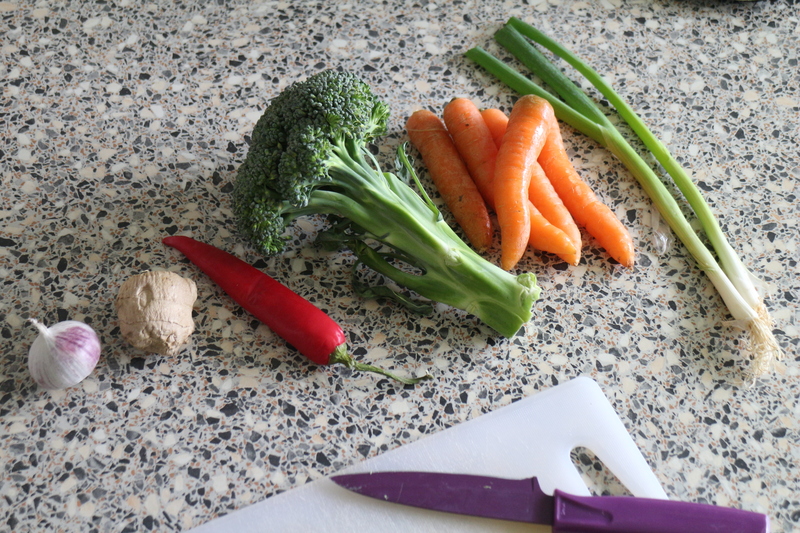 Than I started on cutting all the vegetables to the size I desired. In a frying pan (or a wok pan) I started on frying the onion for about 5 minutes, adding the garlic, ginger and chilli for 2 minutes or so, just don’t let the garlic burn. After that I dumped all the vegetables in and finally adding the rice when everything was about to be ready. I drizzled on a little bit of extra virgin olive oil. As you can see it was steaming hot and very delicious. If you like (I liked it) you can put on tamari sauce (soy sauce) before eating, it gives it this extra goodness.